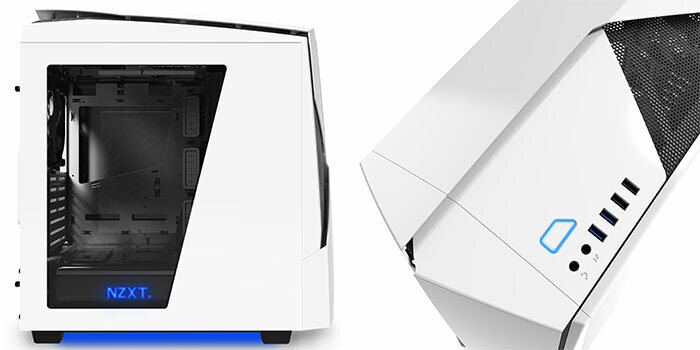 NZXT has added an innovative new chassis design to its lineup, called the Noctis 450. This "streamlined yet aggressive" design differs more than you might think from first glance. The key innovation here is the use of floating body panels over the steel mesh inner construction panels. Due to its unique construction this mid-tower case is said to have "increased the ventilation surface area 10 fold". Users also definitely won't suffer from restricted airflow with the four supplied NZXT case fans. There are three FN V2 120mm fans in the front and one FN V2 140mm in the rear. Sticking to the subject of cooling, the Noctis 450 chassis has an integrated 8-Port PWM fan hub. The installed hub can vary fan speeds across the case and can even be connected to a Kraken AIO Liquid Cooler and adjusted using NZXT's CAM software. NZXT's new chassis supports radiators up to 360mm. With the new Noctis 450 chassis NZXT has decided to offer the exact same internal layout as the "tried and true H440". This should help you achieve tidy, clean cable management and airflow maximisation, offers five fully modular drive trays, an integrated PSU shroud (with two SSD trays are mounted on top) and other PC game machine construction facilitating features. However you must also be happy with a case that doesn't allow for an ODD being installed within its frame. 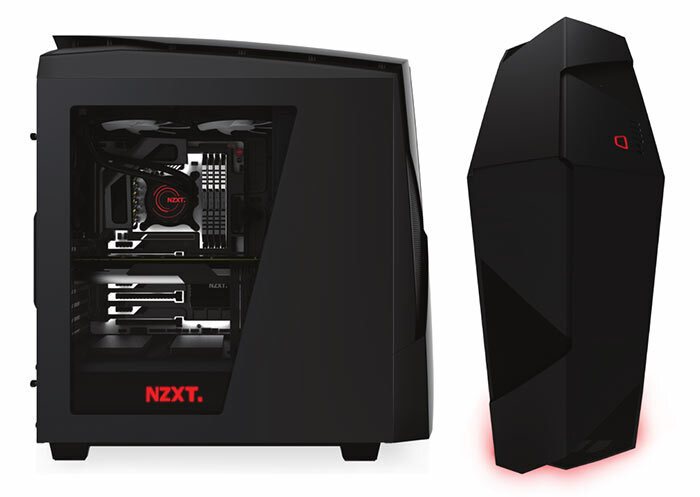 The Noctis 450 is available for pre-order now direct from NZXT. Matte Black and Glossy White models are both priced at £99.99 / €139.99 +VAT / $139.99. It will be in stock in Europe starting from June, according to an email NZXT sent to HEXUS. So they've basically addressed the cooling performance of the 440 and added a 8 pin fan hub..looks ok, but still prefer the styling of the 440 TBH. I like the look of it from the front. It's kind of like an alien tombstone lol..
You're actually looking down on it at about 45 degrees. It's not the shape you think it is.